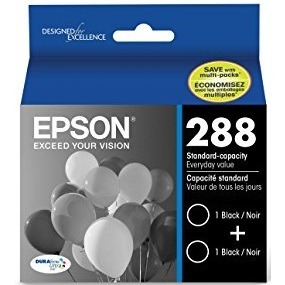 Genuine OEM Epson Ink Cartridge Multipack, 175 page yield. Multipack includes: two Black (T288120) ink cartridges. Epson part number: T288120-D2.